For the few years I’ve been riding BMX and mountain bikes, the determining factor of how nice a bike or hub you had was the loudness of your hubs. I don’t know what it is that attracts us to that noise so much but hearing that continuous clicking noise while riding down the street is gorgeous. There are a couple ways most riders use to make their hubs louder. If you aren’t afraid of getting your hands a little dirty and taking your hub apart then cleaning out some of the hub greases will increase the noise the hub pawls will make when the wheel is rotating. If you’re going for this method does it sparingly to keep the quality of your hub while also increasing its sound. A more drastic approach is to slightly bend out the springs underneath the hub pawls. 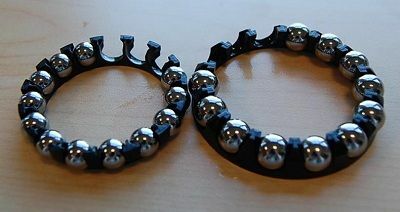 This will create added tension inside the hub thus making your hub louder. Doing either of these things can have a detrimental impact on the lifespan of your hub and its effectiveness. How do Bike Hubs Work? Front bike hubs are primarily just designed to allow the wheel to spin. They don’t contain too much-advanced design. For this reason, in this section, we’re just going to be discussing the rear hub and all its features. Mountain bike hubs and BMX hubs commonly only have a few differences between them. All rear bike hubs have a freewheel on the drive side of the hub. You will recognise this as the long, thin cylindrical shape that the cassette or chainring will be placed on. This section is the biggest difference between BMX and MTB hubs. 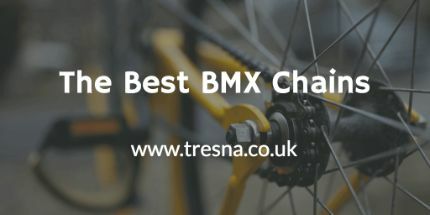 Mountain Bike hubs will allow you to replace the cassette with whatever you want but with BMX hubs you will commonly find it much harder to replace the rear chainring. Since BMX bikes only need one chainring the main section of the hub will be much wider leaving the freewheel smaller on the edge. Inside this freewheel are the spring-loaded pawls that produce the clicking sound we are discussing on this page. The image below will make this much easier to understand but these pawls are what are actually allowing you to coast on your bike. When coasting on your bike, the pawls, which are like little-springed hooks inside a grooved cog, will flex over each groove and allow the hub to keep moving. 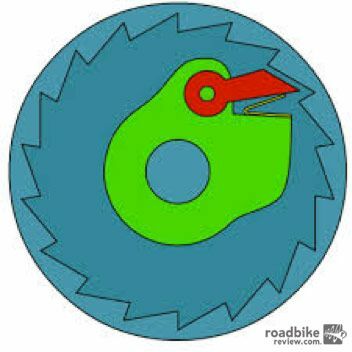 When you start pedalling the chainring will cause the pawls to spin in the other direction, thus engaging the pawls into the grooves. When travelling this way the pawls aren't allowed to flex on the springs. When you hear someone talking about the engagement of a hub this is what they’re talking about. The more pawls and grooves on the inside of your hub, the faster the resulting engagement will be. BMX bike hubs, commonly made from an alloy housing, containing two or sometimes more sets of bearings hug an axle that is threaded through the centre of it. The hub can then be attached to the frame with bolts on either end. 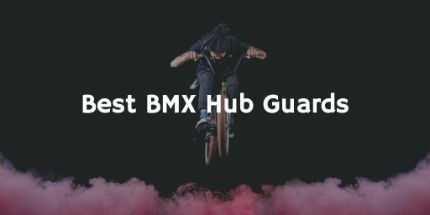 You can tell the best BMX hubs by the bearings, the quality of the dirt and water seals and the number of engagement points inside the hub. After many years of bearings set in a ring of metal the recent developments have seen more and more cartridge bearings being used. Cartridge bearings are much easier to replace, whilst also being much better at keeping out corrosive water and dirt. 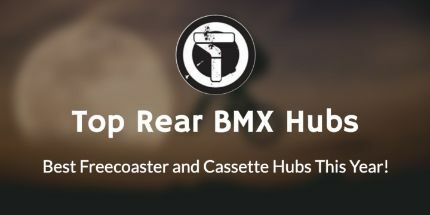 There are three types of rear BMX hub: The Cassette, Freewheel and Freecoaster. 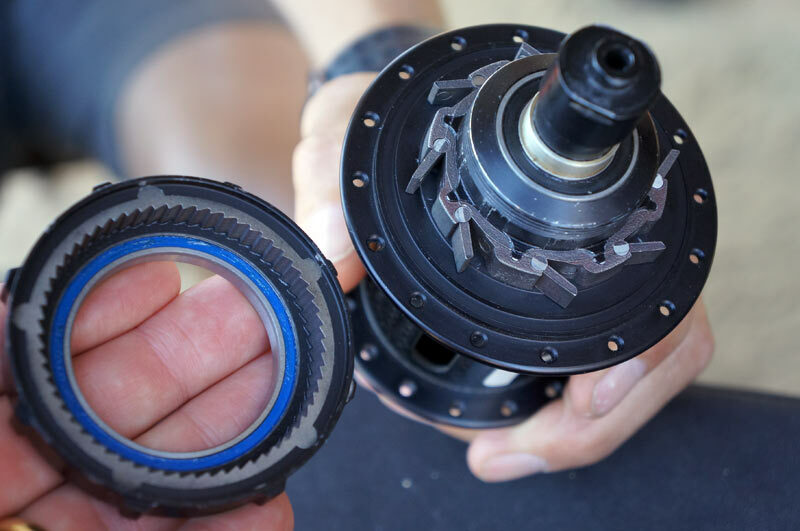 Cassette hubs have an internal, independent driver that pushes into the outer wall of the hub and allows the sprocket to be much smaller since the complicated engagement mechanisms are located inside the hub. 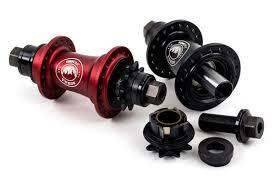 Cassette hubs are the most common types you will see on BMX bikes of any quality. You can recognise them super easily by the clicking noise they make and the ability for the sprockets to be as small as 8 teeth. 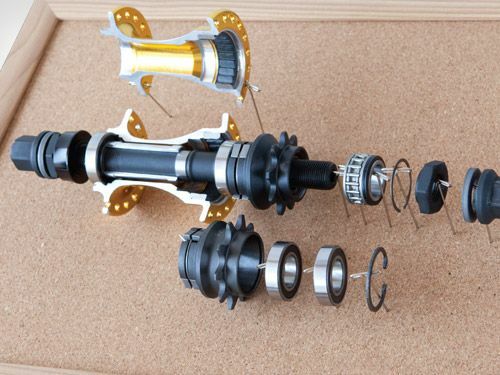 Freewheel hubs have a similar mechanism to the cassette hub but are on the outside of the shell. The chainring itself has to be much larger than cassette hubs in order to provide enough real estate for the ratcheting system allowing you to pedal. The smallest chainring size on a freewheel BMX hub is 13 teeth. This is the main reason most BMX riders won’t ride with freewheel hubs. The added teeth at the rear mean that the front chainring will also have to be larger to provide the correct gearing. Having a larger chainring at the front will often cause it to catch on the lip of quarter pipes. This is a scary experience and after you’ve experienced it once you’ll realise why you want the smaller chainrings. The Last type of BMX bike hub is the Freecoaster. They use an internal clutch system that allows the bike to roll back without having to rotate the pedals backwards. Inside the hub, the clutch will move from side to side when you start pedalling. This is why you have to pedal about a quarter of a rotation before the hub is engaged. Making your bike hub louder mechanically requires you to have some mechanical know how. You don’t need to be a top mechanic to have loud bike hubs but having a half decent toolkit and some experience can always help. In order to get to the meaty part of your hub, the part we need to increase your cassette hub noise, you need to begin by taking your wheel off your bike. If you have a hub separate to your wheel altogether then that’s great but it doesn’t matter if not. You will need to start by removing the driver. This is the part containing your chainring. Most BMX hubs are exactly the same in that you just need to unscrew the bolt on the driver side of your hub. After taking this off the driver should slide straight off. For our job of increasing the hub noise, this is all you really need to do. The only reason to take off the bolts on the other side is for maintenance and for cleaning and re-greasing the whole inner shell of your hub. 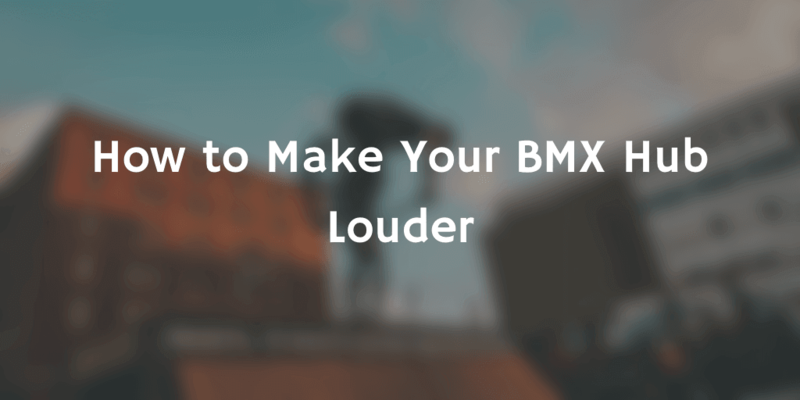 Now we have access to the bearings, pawls and springs you can move onto the next step and learn how to make your BMX or mountain bike hub super loud. To understand how to start making your bike hub louder it helps to understand how the sound is made. If you haven’t already, read the paragraphs above because it goes into a lot of detail about how the hub itself works. The image above is a great representation of how the hub ratchet system works. It is extremely simplified but the red object is what we call a pawl. That pawl is mounted on a spring that will flex when the hub is rotated clockwise and allow easy rotation. The pawl will catch on the angled teeth around the hub shell if being rotated anti-clockwise. The clicking sound is made when the pawl slides over each tooth and springs back into place. Removing a significant amount of the thick grease applied to the inside of the hub will prevent the pawls from being cushioned when they flex and hit the shell teeth. Cleaning your whole hub out and wiping away all your grease and replacing it with a thinner grease will also perform the same task as just removing some. DO NOT use WD-40 or anything similar, it does not do the same job. If removing some grease doesn’t help or if you’re dead set on being even louder without buying a better hub then you can also take your hub apart and slightly bend out the springs under the pawls. Doing this does set you at a slight risk of breaking your hub but if done correctly, this can create more pawl tension and thus more noise when they snap back into position. If you aren’t confident at mechanics and taking your hub apart then there’s not much you can do to permanently make your hub louder apart from buying a newer one. I’ve seen many children riding with a few playing cards taped together and then taped onto the back triangle of their wheel. 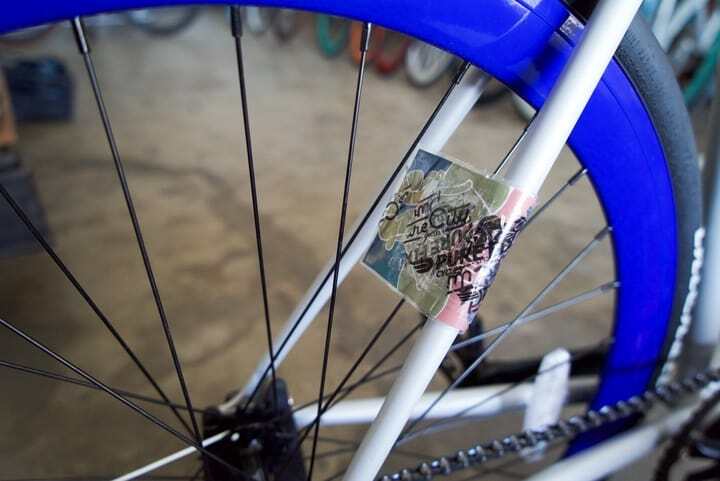 The cards then poke through the spokes and create a motorbike style noise when you pedal. The image below gives a good idea of how you’re meant to do this on your bike. I know this article is about making your BMX cassette hub louder but since you’re taking apart your hub it’s a good idea to perform a little bike maintenance. Removing grease from your hub will make it much more susceptible to dirt build. This build-up will start wearing out your bearings and springs super fast so a good clean and grease change beforehand will give you a much greater life expectancy. With your hub driver already off, spin your wheel over and do the same to the other side. There will be another bolt to take off but this time no driver to come with it. After removing the bolts and washers from both sides you can prize out your bearings. 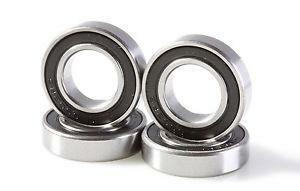 As mentioned before, if your bike is older these will be in a bearing race but if newer you will see sets of sealed bearings. Doing all this should allow you to simply slide out the axle, if you can’t just slide it out then there might be some smaller bearings or washers that you need to take off before it will work. After you have your hub taken apart you can go about cleaning it up. Start by wiping and washing everything down, getting off as much grease and dirt with water as possible. Make sure you dry everything off thoroughly before wiping any remaining grease that coats the surface with some paper towels. Don’t use any water at this point, we want everything to be kept dry when it goes back together. If you’re happy with how clean everything is you can go about putting it all back together. Each inner piece of your hub should be sufficiently coated in grease, this could be the same type that was used when the bike was made or a thinner brand, as we mentioned above. 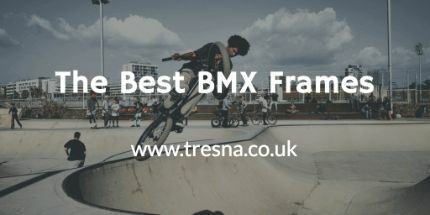 Are you one of the lucky few that has the money to afford new BMX hubs? Well if you are the one we recommend are explained below. They’re great hubs, proven to be loud and won’t need any risky modifications. The Remix hub is so good Primo are already onto their third one. Since we’re talking about making your hub louder, it’s good to know that this hub has 6 pawls with each one engaging with 3 teeth. That’s a whopping 18 points of engagement. 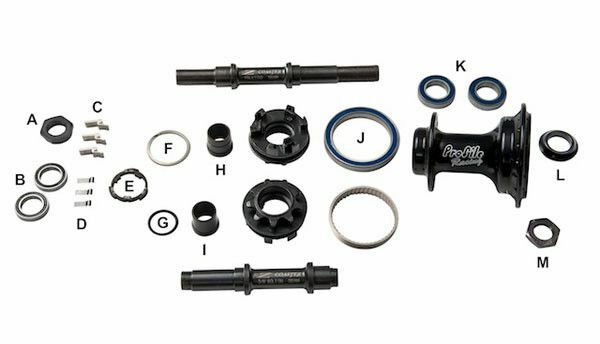 Unfortunately, you can only get the Remix bike hub in a 9 tooth version, which is perfectly fine for most riders but if you want some proper hard pedalling then 8 teeth might be a better idea for you. Although this is a bit annoying, you can still get the hub in both right and left-hand drive. 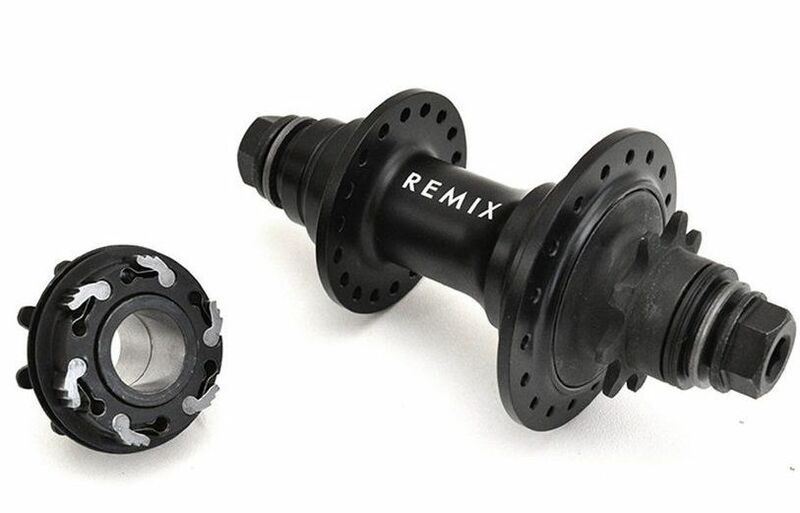 The version 3 Remix has a true 17mm female axle system with bushing driver and the vast amount of precise engagement you’ll be smashing it with this great hub on your bike.